The iPhone music identification app Shazam is getting a little less mobile, but in a good way. A new version for OS X was released on Thursday that offers the same discovery features as its iPhone counterpart, but designed to live in your Mac's menu bar. Shazam for the Mac runs in the background and is always listening for songs to identify for you, builds playlists based on the songs it finds, offers fast access to song lyrics, links to the iTunes Store so you can buy the songs you hear, and more. 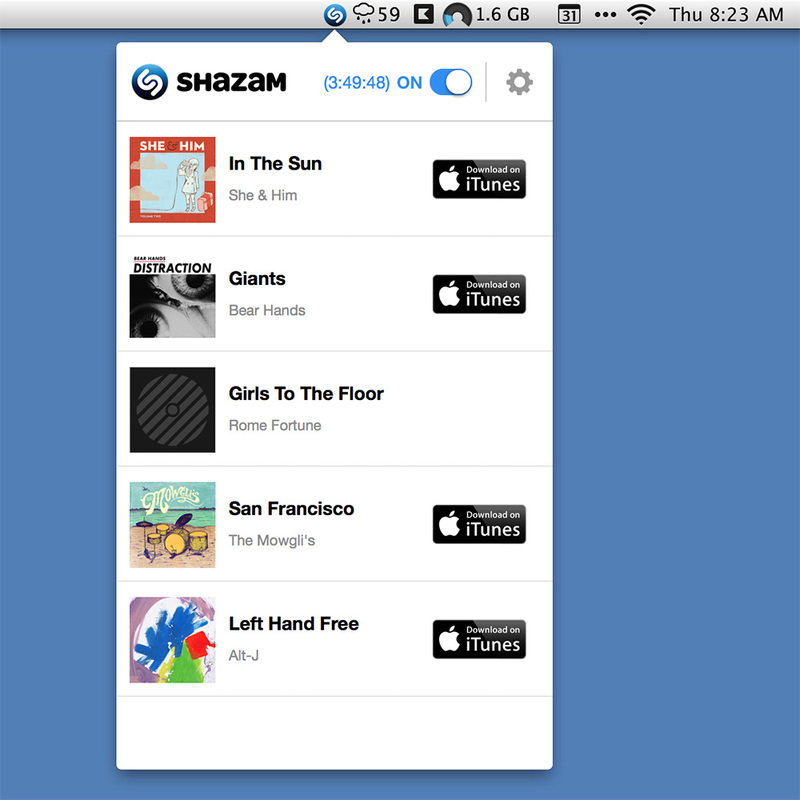 Shazam for the Mac is free and available for download from Apple's Mac App Store. It requires OS X Mavericks or newer.